Do you remember Henry Higgins? 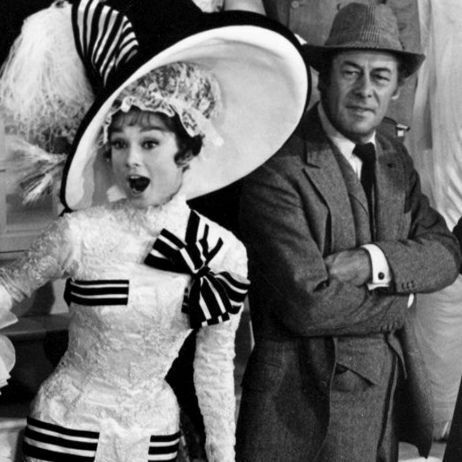 He was a character, played by the actor Rex Harrison, in a 1964 movie called "My Fair Lady." During the movie, Henry Higgins sings a song called, "Why Can't a Woman Be More Like a Man?" and the last line of the song is, "Why can't a woman be more like me?" "Why can't a man be more like my best friend?" 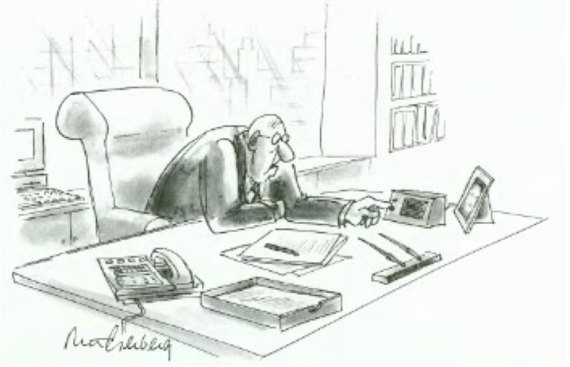 The caption of this New Yorker cartoon reads, "Miss Gaines, send in someone who reminds me of myself as a lad," with the implication that he's looking for someone to hire. Now, fortunately, this kind of bias is becoming rare. But something else has taken its place, and that something is called "Second-Generation Bias." The researchers at the Center for Genders is Organizations (CGO) say that second-generation gender biases are 'work cultures and practices that appear neutral and natural on their face,' yet they reflect masculine values and life situations of men who have been dominant in the development of traditional work settings. So while gender bias is not as "in your face" as it was in the past, it's still here and even trickier to destroy. 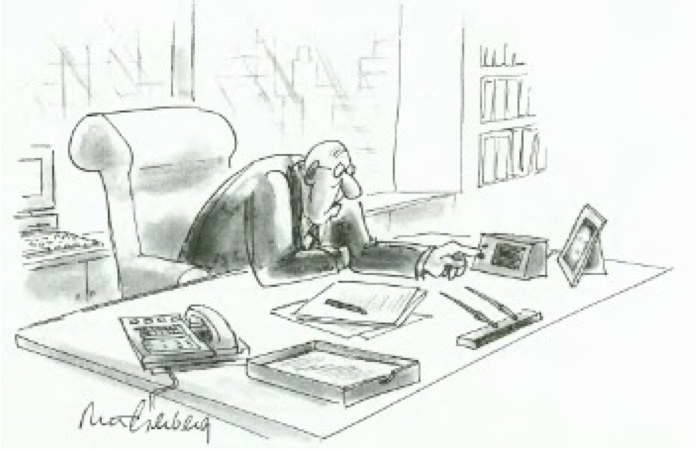 Does your organization exhibit second-generation bias? The following three factors signal that this may be the case. A lack of female role models is a signal that second-generation bias may be present in your organization. When very few senior leaders are women, younger women are likely to think that their chance of making it to the top is very slim. They may also assume that senior women don't make good C-suite leaders, because if women are good leaders, why aren't there more of them? 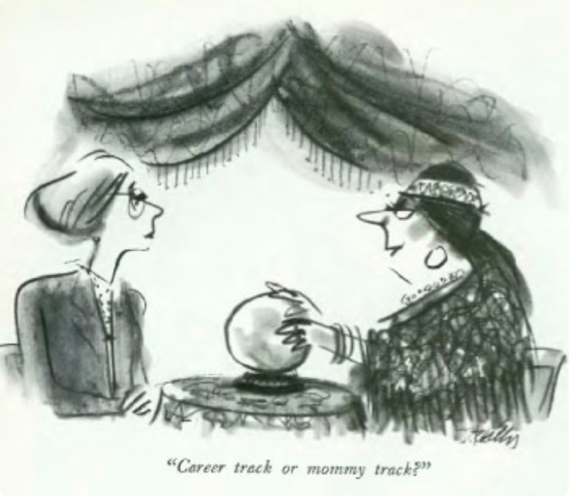 In effect, this becomes a self-fulfilling prophecy, where the lack of role models can discourage younger women early in their careers. Similarly, unconscious bias is reflected in the fact that women often lack networks and sponsors. Sometimes, that's not because men are keeping women out. Women often don't socialize as much for business as men, because they still do 54% more childcare than men and have to head home! The second component of second-generation bias is called the double bind. Some people would call it a double standard. It comes from a mismatch between traditionally female qualities -- kindness, empathy, modesty -- and the qualities that organizations like to see in leaders. Think about the balancing act that a businesswoman does every day. I can tell you from personal experience that this constant parsing of what you're supposed to be, and not be, is exhausting. It's also clear that this list of "professional requirements" goes quite a bit beyond having to polish your shoes and wear a tie. The idea that women should jump through all these extra hoops just to make themselves acceptable is a pretty good definition of second-generation bias. Another sign of second-generation bias comes from career paths or work assignments that diverge for men and women. Think about the woman who's tracked toward Human Resources instead of operations, or the woman who gets marginalized when she becomes a mother. Even women who are top executives can be tracked into behind-the-scenes roles, when the big rewards are going to front line leaders. 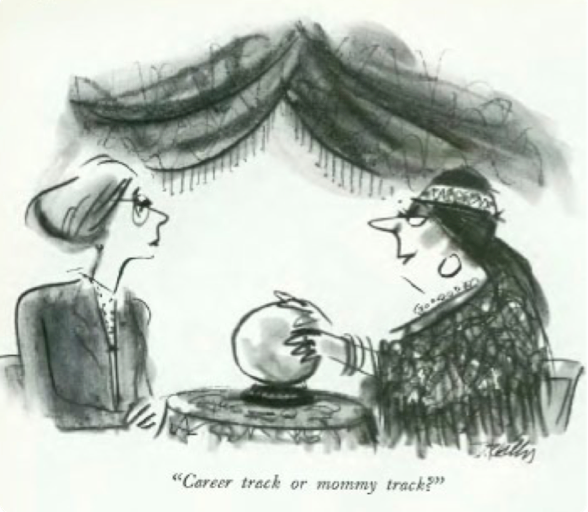 When it comes to gender tracks at work, this cartoon from The New Yorker says it all: "Career track... or mommy track"? Now, have you ever heard of a Daddy Track? Women, as you know, are just as qualified as men for any job where you're not lifting 500-pound sacks. Women are higher educated than men, their financial responsibilities are equal to men, yet when they go to spend a hard-earned dollar, all they've got is an average of 75 cents. It's not surprising that women have been voting with their feet and leaving the workforce for a while. Data from Catalyst and the U.S. Equal Employment Opportunity Commission shows that more than half of women who start out in Fortune 500s have left before they reach the executive level. Even at the top level, women are just a bit more common than unicorns. It's clear that very large numbers of women are not satisfied with their experience at work. Yet to survive and thrive in today's world of work, you must attract, develop, and retain female talent. I propose that organizations begin by correcting second-generation bias. Here are six ways you can start that process from LeanIn.org, a non-profit founded by Sheryl Sandberg. 1. Challenge "The Likeability Penalty"
First, speak up when you hear female leaders being called "aggressive," "cold," or other less flattering names. If the comment wouldn't be made about a man, it shouldn't be made about a woman. Second, often both men and women evaluate women on the basis of past performance, but evaluate men on the basis of their "potential." That's apples and oranges. Speak about the potential of the women you work with when they're being discussed for opportunities. Talk about what your female colleagues are achieving. You may know that women give themselves less credit for success than men do; consequently, they also get less credit from everyone else. You can help break that cycle by giving credit where it's due. If you're in a meeting where a woman is interrupted, or where someone else tries to claim her idea, speak up and say that you'd like to hear what she was saying. This fifth suggestion is to jump in and help your office run more smoothly. Take notes in a meeting. Arrange an event. Train the new hires. This work usually falls to women, and you can help out. For those of you who are parents, do you let your work colleagues know when you take time off from work to take your child to the dentist or a school event? If not, give it a try. When you speak up about your need for family time, it helps other men and women do the same thing. In order to survive and thrive in today's world of work, you must attract, develop, and retain female talent. There are many steps an organization can take, and all of them take commitment and focus. Initiatives like working to eliminate second-generation bias, and creating a purpose-driven workplace, are a great start. I challenge you to conduct a self and an organizational assessment when it comes to second-generation bias and see what you discover. With that awareness, you will be better armed to fight the good fight for female talent. Can you think of a way that you've unknowingly exhibited second-generation bias? Have you experienced it? I'd love to hear your perspective. Leave me a comment below, send me an email, or find me on Twitter. Anne Loehr is a sought after keynote speaker, writer, consultant, and trainer. She helps leaders in large organizations connect their everyday decisions today to the future workplace. Her end goal is to help organizations retain their top talent and not only survive, but thrive. To learn more about Anne, check out www.anneloehr.com or follow her on Twitter.